If you follow me on Twitter or are friends with me on Facebook, you probably know that I like to post a ‘bELIeve’ status before Giants games. The first time I posted this was during the 2009 NFC Wild Card round, when the Giants played (and eventually lost to) the Eagles. Well, today I was curious to see how the Giants played when I posted a ‘bELIeve’ status. Do I actually think it has any effect on the games? Of course not. But this is how my mind thinks about things, and I had a few hours to kill. 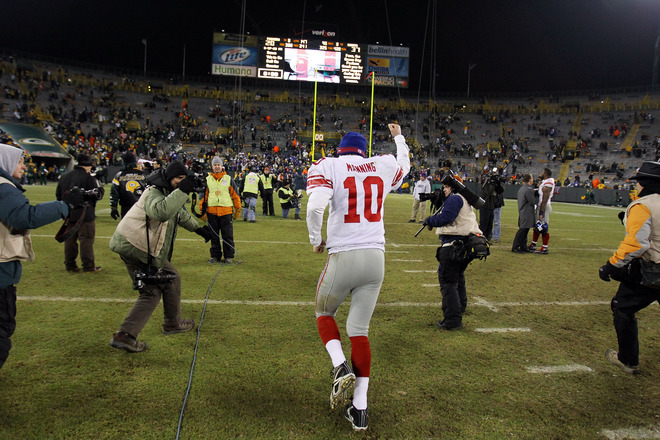 So, I went through my archives on Twitter and Facebook and discovered that of the 51 games the Giants have played since the 2009 playoff game against the Eagles, I have posted a ‘bELIeve’ status 25 times, or roughly 50% of the time. And there it is: conclusive evidence that Eli and the Giants play better when I post a ‘bELIeve’ status. Next Post We’re going to the ‘ship!